The general consensus in the book world is that exciting and/or frightening things are happening on the frontiers of digital publishing, but the discussion is, in my opinion, giving short shrift to audiobooks as a digital medium. Although my Kindle is a wonderful convenience – the best way to cart around various 1000+ page tomes by Stephenson, Martin, and Murakami – it is my audiobook collection that holds a special place in my heart. eBooks might save space on overcrowded bookshelves, but great audiobooks do them one better by bringing a story’s characters and ideas to life, filling them with breath and emotion, and transporting you into another world. It’s my opinion that audiobooks are a far more exciting digital medium than ebooks will ever be. I also feel like the practical benefits are more compelling; going from a box full of a dozen CDs or cassettes (bulky AND overpriced) to a few digital files seems like such a huge evolutionary leap, even compared to the transition from the printed word to digital text. 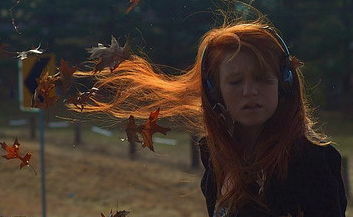 Accordingly, I was particularly excited by the recent launch of ACX, the “Audiobook Creation Exchange”. ACX helps authors connect with narrators to produce professional-quality audiobooks for books that might otherwise get indifferent, tone-deaf productions or simply never get adapted. Neil Gaiman used the service to launch his own Audible “label”, featuring books he loves that were never previously adapted for audio. Self-published authors have been podcasting their books for years now, and ACX feels like taking that DIY impulse to the next level. My sincere hope is that the floodgates open and we start getting audiobook adaptations of obscure, out-of-print, or just plain weird authors. In an interview with Salon, Gaiman says that one of the reasons he became an evangelist for ACX and audiobooks in general is that, when listening to an audiobook, “you often notice things that the author in all probability thought he or she had buried brilliantly in the text, sitting there in plain sight.” This has definitely been my experience more than once; truly great audiobooks bring something to the table that you’d never discover in the text alone. In fact, I’d argue that some authors should only be experienced in audio form. I doubt that David Sedaris’ stories are quite the same if they aren’t read in his peculiarly expressive voice, and I firmly believe that Woody Allen’s comic writing doesn’t quite come alive without his unique delivery. However, it makes sense that non-fiction would be best experienced when read by the author; the far more astonishing experience is a narrator who brings a fictional narrative and all its myriad characters to three-dimensional life in your head. 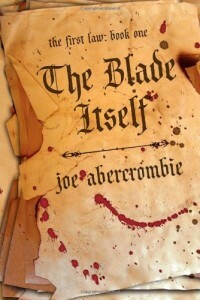 Late last year, when I first started my Audible membership, one of the first books I bought was The Blade Itself by Joe Abercrombie. The narrator of the book, Steven Pacey, did such an incredible job with distinct voices and accents for every character that I was completely hooked and ended up listening to the entire series in audio form. You know an audiobook is firing on all cylinders when you can immediately tell which character is talking by the sound of the narrator’s voice. It has actually reached the point where audiobooks are becoming my medium of choice. I’m far more likely to read a brand new book if I buy it in audio, simply because I can listen to it while I’m working, or going for a walk, or doing errands around the house. A few years ago I only listened to audiobooks on long trips out of town, but nowadays I’m finding more and more time to multi-task while listening to a good story. In fact, I’d argue that listening to audiobooks has majorly increased my productivity over the last year, because I’m far more likely to do something mindless or repetitive if I have a good story to keep me occupied. All of these and more are reasons why my dream future is one where every great book has a great audiobook, and all of them are sold at reasonable prices. I’ll be listening. Will you?